Before the ball even drops, people love to come up with top 10 lists for the new year and that includes tech. But just like New Year’s resolutions, it’s questionable whether these predictions have staying power. 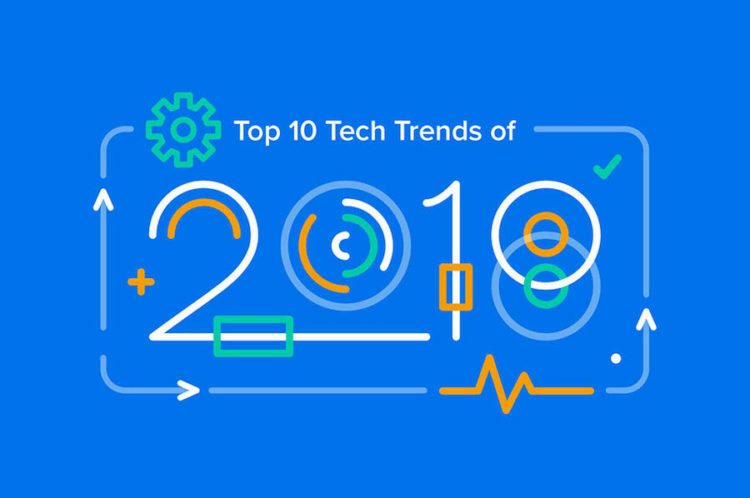 Since 2018 is more than halfway through, let’s take a look at the top 10 technology trends of 2018 and see how they’re faring. The age of the Experience Economy — the idea that businesses must orchestrate memorable encounters for their clients — is upon us. Take, for example, the opening of a hot new restaurant. In the olden days of the early aughts, just getting in was enough to earn bragging rights for most patrons. That’s not the case anymore. And online companies are responding in kind. Google Local Guides began the process by allowing users to verify themselves as experts and connect individually with those seeking experiences. Airbnb’s recent entry into the space has shown that large companies are now willing to explore how individuals can add value to their already booming experience economy ecosystem. The way banks are working now will soon be as outdated as writing checks. The traditional and dated approach to payments is in the process of being left in the dust. Users can easily track their spending, budget, put money aside, as well as quickly transfer funds to other Monzo users. They can use the card abroad with any currency and are only charged the MasterCard exchange rate. “What’s refreshing about both of them is a modern approach to banking, intuitive and fun user interface, and transparency,” Winter notes. Machine learning is a core part of AI, and this year we have seen new product releases with machine learning components from the majority of technology vendors. Sign up for our monthly newsletter and get the best of DreamHost delivered to your inbox. Chatbots and voice assistants are becoming smarter, thanks, in part, to retaining information and learning from previous activities. Another reason they’re only getting wiser is due to updating the software and enabling them to do even more. As personal voice assistants grew in popularity, so did chatbots, particularly from organizations that provide IT Service Management (ITSM). How your information is stored and accessed online is becoming more and more critical. We’re glad you asked. Yes, DreamHost is GDPR compliant. Though some people will still choose convenience over privacy, companies around the globe were affected and needed to rethink their marketing and data retention strategy. Anderson predicts that the rest of 2018 and beyond will see more connected devices than ever before as we continue to trade in our privacy for convenience, whether that’s turning on the lights with our voice or sitting back in our self-driving car. Forget about getting up to turn off the lights — now you can turn on your AC before you leave your office to ensure your home is cool by the time you get home. That kind of convenience is a huge reason why smart home technology is becoming more common in modern households. The second key area is that IoT provides the ability to execute a command. Lights can be turned on or off, thermostats can be adjusted, and vacuum cleaners can be operated — all without physically touching the device. Thanks to improving AI, humans will have less to do in the future, Shaw says. Though digital nutrition, fitness, and health tools are not exactly a new tech trend for 2018, we’ve seen companies take the technology further to help customers. Apple has also enhanced its Health app, which allows you to track fitness activity in more detail along with sleep, nutrition, and other health stats. The Mindfulness app even tracks how much time the user spends on each app — we’re looking at you, Candy Crush — and provides suggestions on how to reduce phone usage. When customers use verbal requests to navigate websites or make purchases, chatbots will be able to capture audible reactions, improve conversation capabilities, and over time, provide analytics to the retailer that can be associated with the emotions and the mood of their customers while online. As a result, analytics powered with AI technology will eventually provide retailers with enough data to predict customers’ emotional responses. This will help retailers tailor and personalize the customer experience with a focus on making the customer happy, increasing the chances that the customer will return in the future. This is software that relies on third-party services; in other words, it’s backend as a service. It’s no secret that online shopping is steamrolling traditional brick-and-mortar stores (farewell Toys R Us, one of the many established retailers that had to shut its doors). Online retailers are innovating even more in 2018, driving customers to load up their virtual shopping carts. What are your thoughts on where tech is headed this year? Follow us on social and let’s start the conversation!